Hello! I have been working very hard with the talented Travis Lee Barker to bring these replica figurines to life. The first in the 3″ line is now available for purchase in the online store. These are printed in a high quality and highly detailed plastic. Each figurine is hand painted and mounted in a real clay pot with black sand. This 3″ series is limited to 100 figurines. You can also find it on Etsy on Ebay. More figurines and sizes available by the end of the year! ← Forgotten Boneyard Replica Figurines Coming Soon!! Upcoming Orlando Oddities and Curiosities Market, Plus 2019 Event Announcement are up! Denver, Salt Lake City, Atlanta, Orlando – New Shows Added!! Hello Boners, Does that work? No… I guess not. Lets just move on… I am adding a couple of new shows and updated info on some of the current shows…. Lots of Things Happening! What’s New? Kicking Off 2017 With New Replica Figurines! Forgotten Boneyard Replica Figurines Coming Soon!! Click here to visit the online shop now! Thank you Philadelphia! 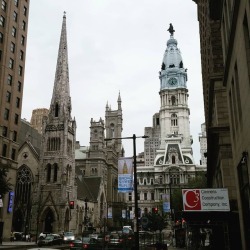 I had such a great time exploring the city on foot… from the Mütter Museum, to Eastern State Penitentiary, the Edgar Allen Poe historical site… and so much more in between, just an incredible place to visit. Great seeing everyone at the @theodditiesmarket Hopefully I’ll see you again next year! Forgotten Boneyard 2017 | All Rights Reserved.